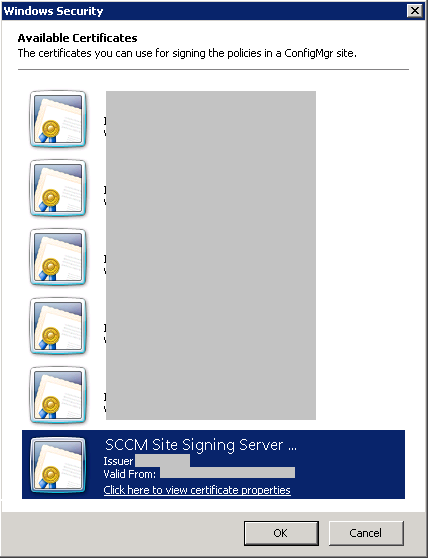 When your SCCM Site Server Signing Certificate has expired you will experience problems with packages, virtual applications and OS deployment with your SCCM clients. 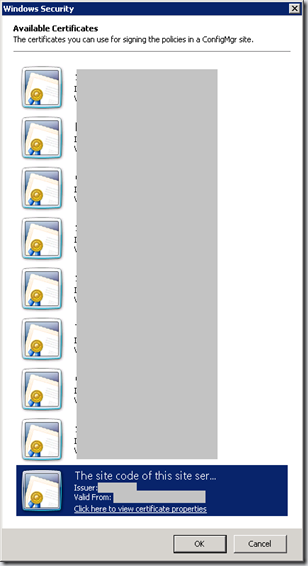 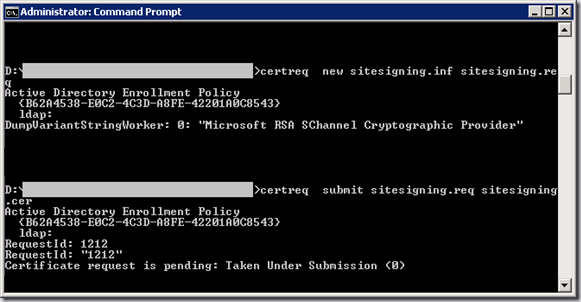 The SCCM server reports “SMS Policy Provider has failed to sign one or more policy assignments. 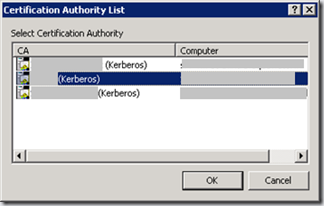 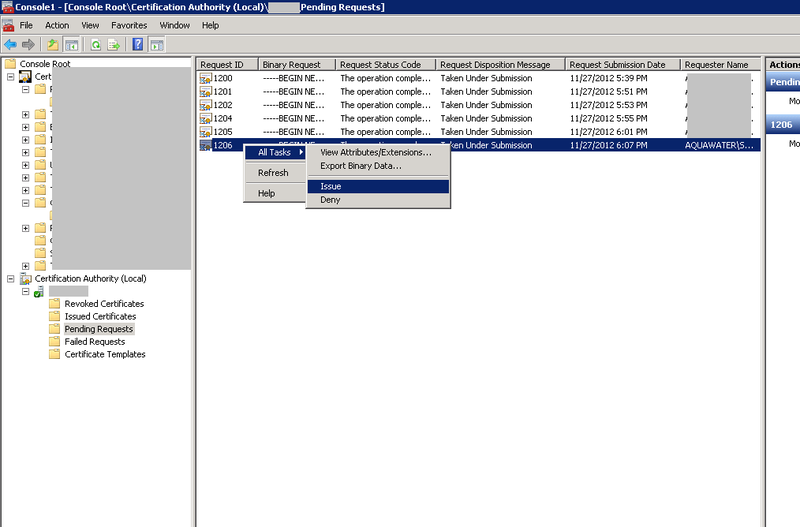 It will retry this operation automatically.” in the Component Status SMS_POLICY_PROVIDER. 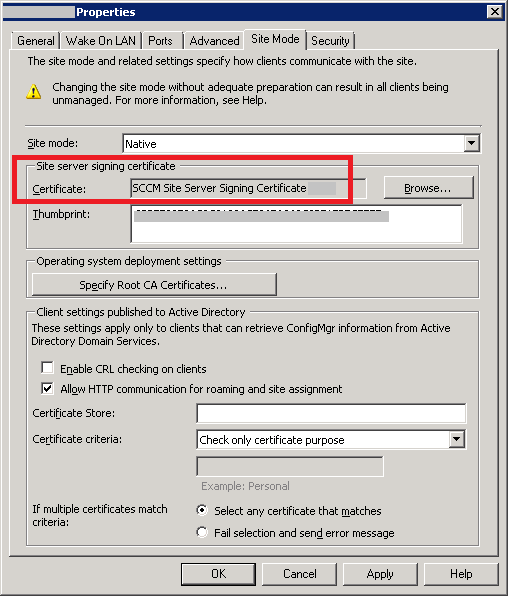 If the certificate is expired, you have to renew the certificate by following the steps below. 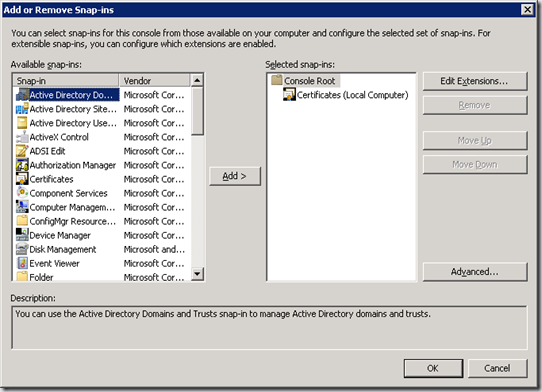 Be sure to do this outside work hours, because it impacts the SCCM clients. 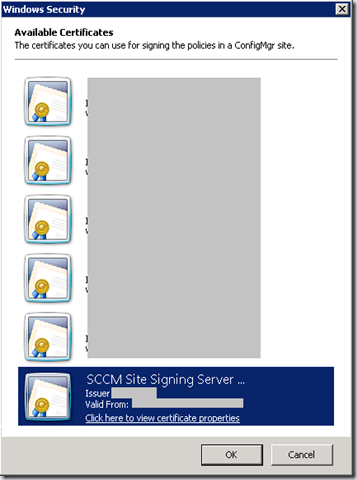 FriendlyName = "SCCM Site Signing Server Certificate [your site code]"
Subject = "CN=The site code of this site server is [your site code]"
2. Save the file and open an elevated command prompt. 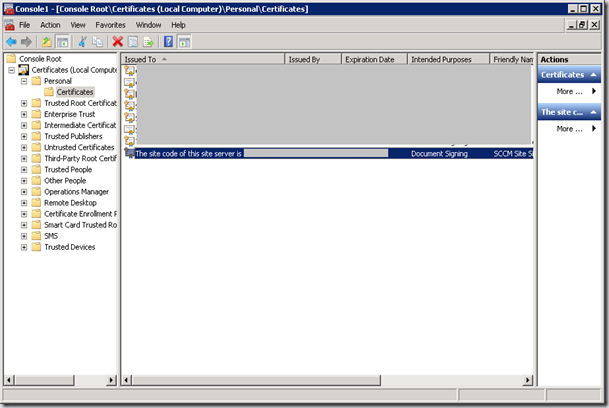 The certificate is now requested at your Certificate Authority. 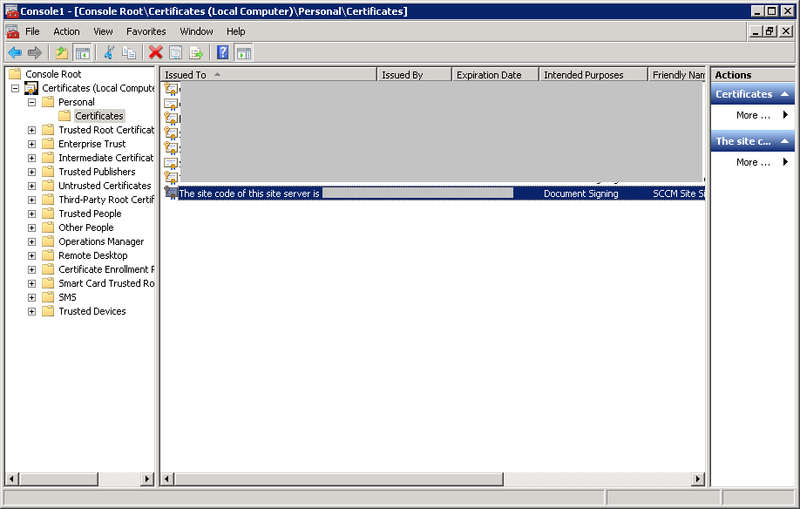 The certificate is now renewed. 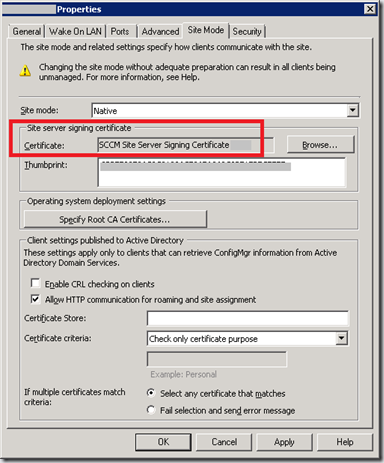 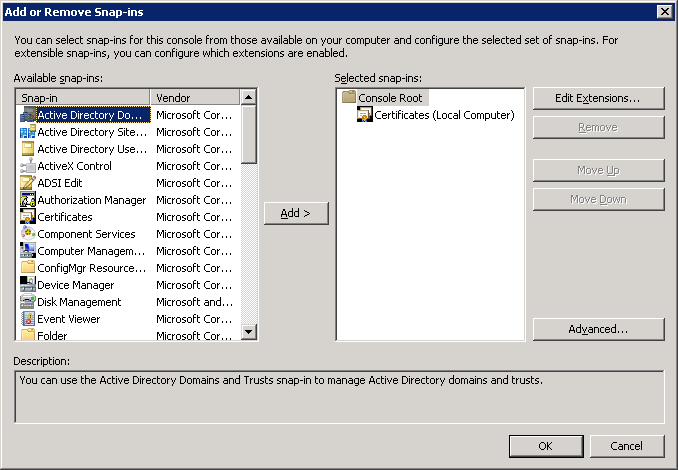 If the certificate is correctly renewed, the message ‘SMS Policy Provider successfully signed all policy assignments with the new Site Server Signing Certificate.’ will appear. 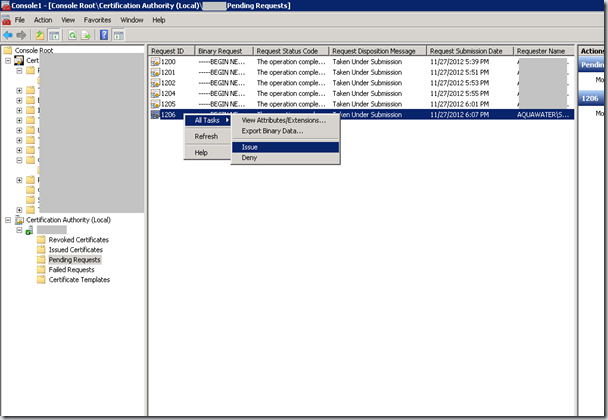 Your SCCM clients will then be functional again.